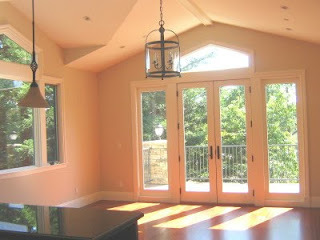 RENTED in December 2009: virtually new construction in San Anselmo's coveted Seminary neighborhood. Warm colors, a thoughtful layout and a street-to-street lot are some of the great things about life at this San Anselmo rental. On the market only about a week, I was lucky enough to rent this over 3,000 sq ft home to a set of past clients of mine. It's a perfect fit and I envy the next two years they'll get to spend living at this stunning San Anselmo rental! Thanks everyone for working on Christmas Eve with me to get this contract done! Have questions about your San Anselmo rental? 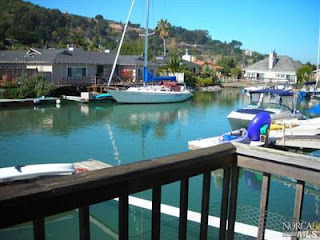 Check out our Marin rental services at http://www.marinleasingteam.com/ or email me anytime! 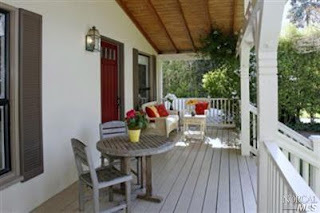 Bee St RENTED in Sausalito! Thanks to Joscelyne and Christopher for putting this one together! So many Sausalito Rental properties, so little time! We'd love to help you with your property - call anytime! Rented in December of 2009, this home came in at about 1,600 sq ft, but was packed full of charm! With 4 bedrooms and a walk-to-town location, it's hard to score a better Mill Valley rental home than this for the price! We have a couple of new Mill Valley homes also about 1,600 sq ft to be priced at $4,000 and under coming up this February, so email us if you want more info! Paradise Cay Home RENTED in Tiburon!! Right on the water, this 3bd home is light, bright and has a sweet hot tub built in to the deck. Rented by Christopher in December 2009, we had a couple of applications fall through, but in the end it worked out and went to a great set of tenants at $3,750. Way to work through it everyone! 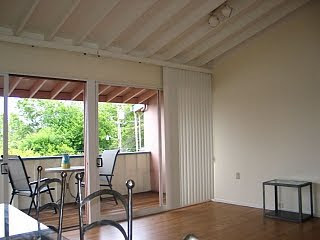 And I'll bet the new occupants can't wait til we start to see warmer weather to really enjoy the waterfront deck! Questions about your Tiburon Rental? We're Marin's best leasing team (ok, we're the only "leasing team" per say, but we still think we're pretty great...!) and we're happy to answer questions anytime. Another Winship Park RENTAL in Ross! Wow we love this neighborhood - and we love it when our CLIENTS love this neighborhood, too! Christopher repped the tenants at this darling 4bd in Winship Park - one of the town of Ross' coveted neighborhoods. Rented at $4,400/month early December 2009, this family will now have a home for the holidays! These are some of the views from the hiking in the area! Would you like assistance with your Ross Rental? Give us a call - we'd love to help.